Well, here’s today’s art challenge…. 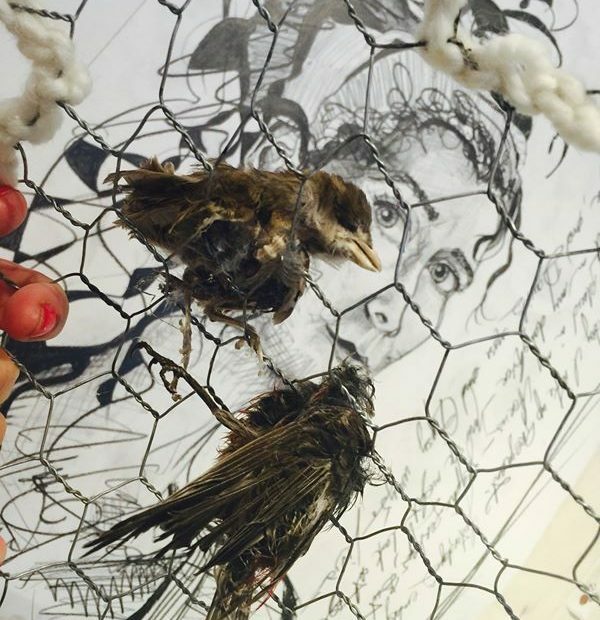 How do I sew a mummified swallow to the chicken wire where her mother died trying to feed her? How do I honor this fragile little bird forever in my art piece without damaging her body further? I love how many people have offered help to me through the facebook page….what do you think?